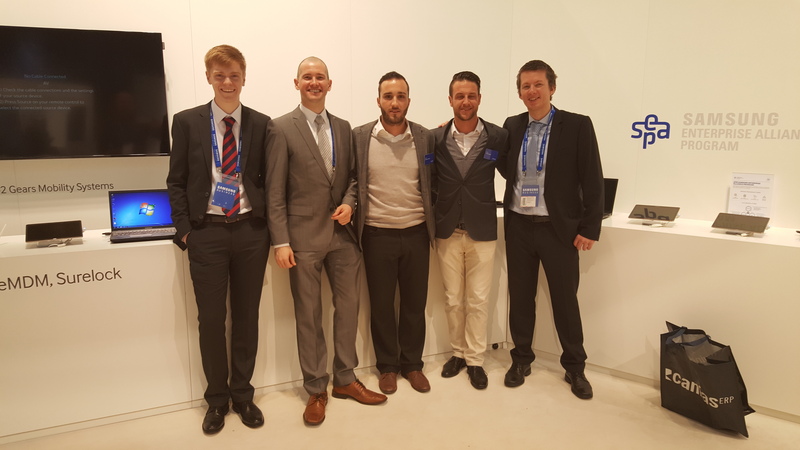 The ISL Online team at CeBIT 2015. From left to right: Joe Webster, ISL Online UK, Mitja Vavpotic, XLAB, Alessandro Rizzo and Tobias Stucki, ISL Online Switzerland, Jure Pompe, XLAB. ISL Online showcases its latest innovations at CeBIT, the world’s largest ICT trade fair taking place from March 16 to 20, 2015. With the theme of “Mobile productivity”, ISL Online has partnered with Samsung at this year’s CeBIT to present one of the best remote access apps for the Android platform and other solutions for excellent on-demand remote assistance through the Internet. ISL Online exhibits in the Samsung’s spectacular 1,750 square metre exhibition area in Hall 2, booth C30. 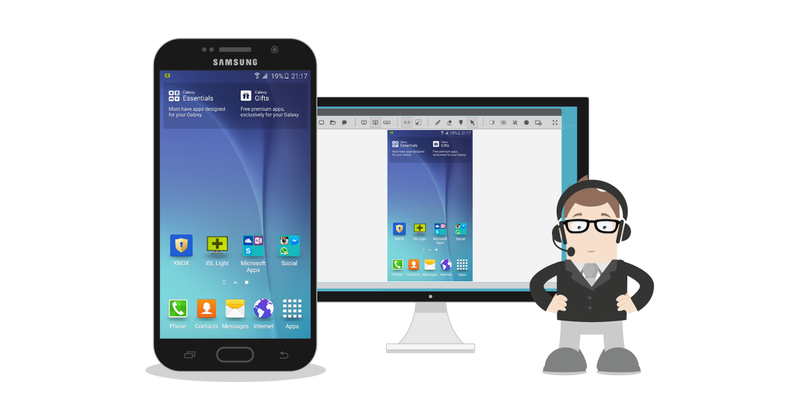 As a Silver Partner of Samsung Electronics of the Samsung Enterprise Alliance Program (SEAP) partnership, ISL Online has developed a premium solution for businesses that enables secure control of remote computers from Android devices, while it also empowers remote access to Android phones and tablets and full control of any Samsung device. Actually, you can access just about any Samsung mobile device from another mobile device or computer and control it remotely, troubleshoot technical issues, change settings or install new applications. Controlling a Samsung Galaxy S6 from a remote computer (Win, Mac or Linux). When we say it works on any Samsung device, we mean it. Even the Samsung’s new star Galaxy S6, officially presented at the beginning of March at the Mobile World Congress in Barcelona, can be accessed and controlled from a remote computer or mobile device. 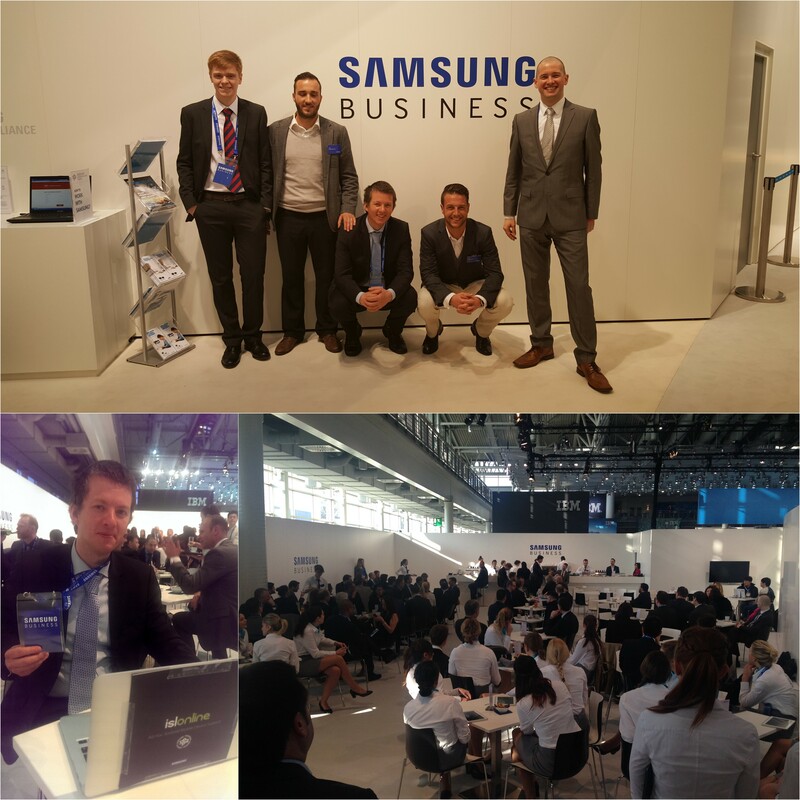 For a short video tutorial on how to access a Galaxy S6 remotely, see our Joe’s demonstration recorded at CeBIT 2015. At CeBIT 2015, ISL Online is co-exhibiting with Samsung to showcase one of the best remote access apps for the Android platform. For the live-action look at how to access and control the brand new Galaxy S6 with the ISL Online premium app for Android and other remote support solutions, you are welcome to visit the ISL Online stand, located within the Samsung stand in a prime location in Hall 2, C30. But, hurry up as today is the last day of the largest ICT trade fair in the world! This entry was posted in Android, corporate remote desktop, isl online, Mobile, trade show and tagged cebit 2015, remote access, remote access to samsung, remote to mobile, samsung, samsung galaxy s6, trade show. Bookmark the permalink.